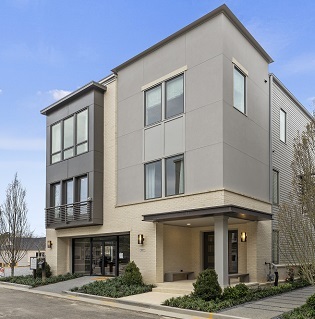 Monte Hewett Homes is excited to announce its new Buckhead community is officially open following the model home’s recent grand opening! Comprised of two distinct home styles, Amble Green offers homebuyers a contemporary transitional lifestyle with open-concept designs and convenience to everything Atlanta has to offer. When complete, Amble Green will feature just 30 single-family homes, adding to the community’s exclusivity in such a prime location. Homebuyers will have seven home designs to choose from within the Executive and City collections of floor plans, allowing homeowners to select a home that truly fits their lifestyle and taste. 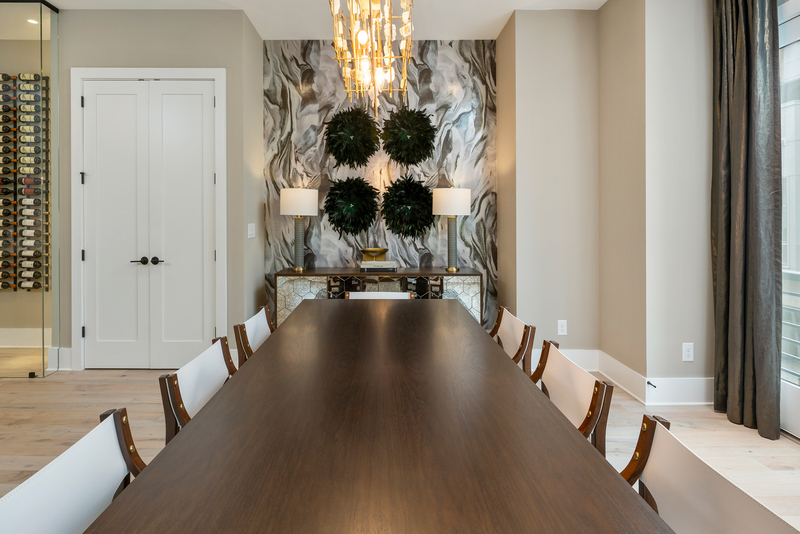 The newly opened model home features the Woodland home design, a part of the Executive Collection. Offering 3,755 square feet of thoughtfully designed living space with four bedrooms, three-and-a-half baths, two-car garage, covered terrace and optional elevator, this home allows for plenty of room to spread out to entertain friends and family as well as growing families. 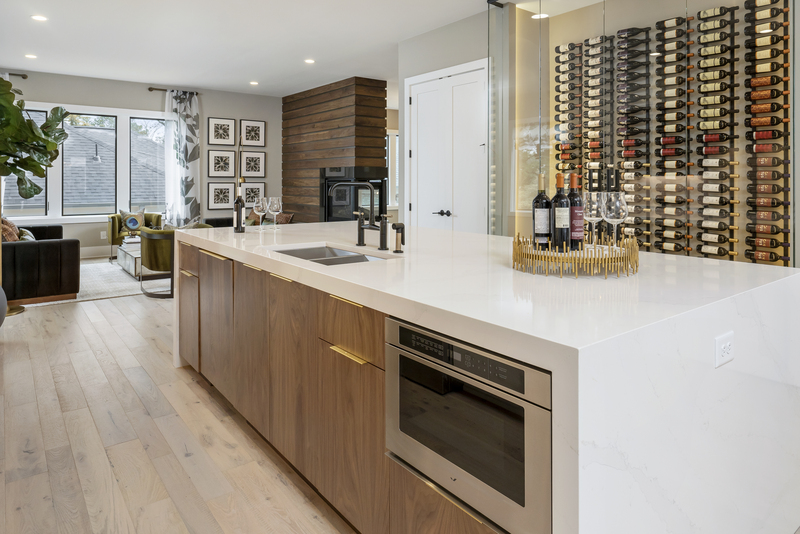 Filled with breathtaking features throughout, this new model home is sure to impress. Notable appointments include terrace- and main-level guest retreats with full baths, perfect for a home office or teen suite, a gourmet kitchen with oversized island and quartz countertops, a three-sided fireplace, enjoyable from both the family room and study, luxurious owner’s suite and covered rooftop terrace, complete with an optional fireplace, Coyote Grill, vent hood and under-counter refrigerator. 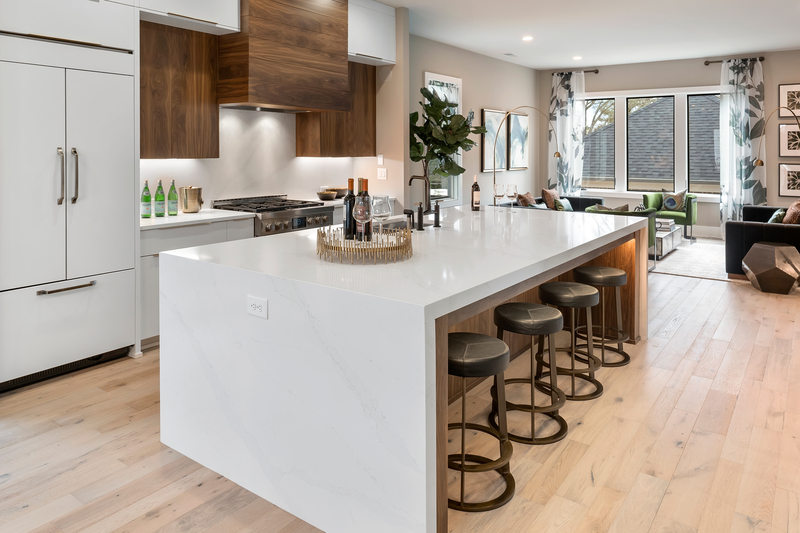 The model home also features custom slab cabinetry, custom floating vanities in all baths and a combination of 4-inch, 5-inch and 6-inch pre-finished white oak floors throughout. Amble Green, perfectly located in North Buckhead along Nancy Creek and Blue Heron Nature Preserve, offers residents convenience to several popular destinations. Shopping, dining and entertainment options are only 1.5 miles away at Phipps Plaza and Lenox Square while Chastain Park is only 1 mile away. Amble Green is located at 4124 Haverhill Drive in Atlanta. Contact Agents Jeremy Aldridge at 404-998-6922 or Art Hicks at 404-429-1299 to schedule a VIP appointment. For additional information, click here.